NEW Captive-Aire Systems 5424 ND-2 Exhaust Hood WITH the damper assembly (pictured). Measures 72" wide (60" hood width), 24" deep in size. 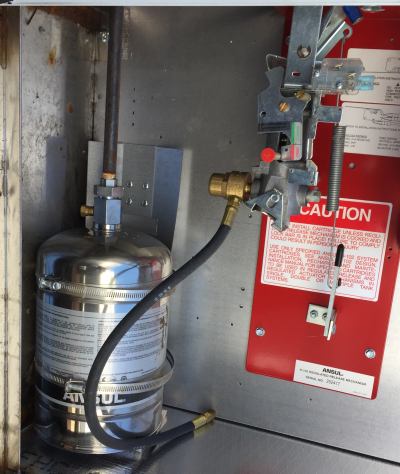 INCLUDES ANSUL Fire Suppression System, NEW. On pallet.